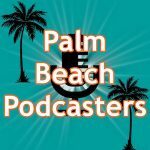 I recorded this podcast with Jason Parsley, Executive Editor of the South Florida Gay News about a month ago, guys, and I’m so excited to finally bring you this episode! 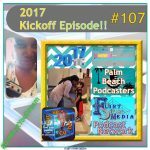 We first met on episode #102 when Jason lent his voice to the post-election protest in downtown West Palm Beach. I loved his passion for his cause and just HAD to have a guested episode with him! As the Executive Editor of the South Florida Gay News, Jason lends his journalism talents to depicting gay life down here in south Florida. He strives to strike a balance between being gay community-focused, while also presenting people in a broader sense to remind us all that sexual orientation and the issues that go along with that aren’t the only ways to define people. With a wide reach of TOPICS ranging from entertainment to politics (and all the blurry lines in between), there are a host of interests in the South Florida Gay News sure to keep you reading and in the know!! Thanks so much for listening. 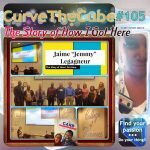 Remember to find you passion and do your thing with the Curve the Cube podcast! !